This Egg return to Manchester following last June’s Me and My Bee with the Edinburgh Fringe Festival award-winning dressed. A costume maker, a theatre maker, a singer and a dancer. All friends since school, telling a true story. Dressed is about the power clothes have to define us, to liberate us, to hide us and to embellish us. It is about making something beautiful out of something dark and traumatic. 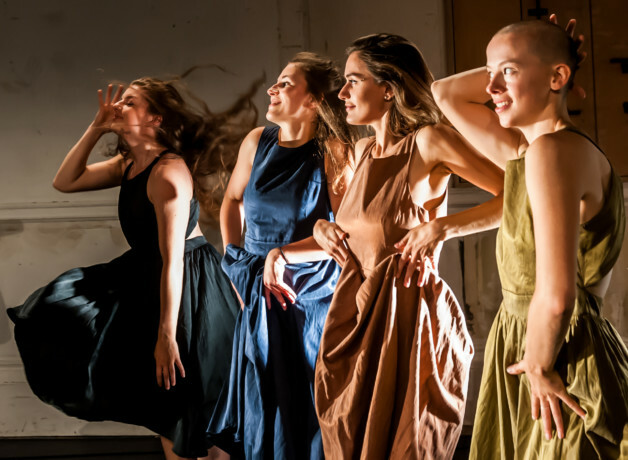 Combining choreography, live sewing, comedy and original music, it is a celebration of female performance and friendship. Want to know more about This Egg and Made My Wardrobe? Tickets £12.50 full / £5 – £10.50 conc.